Powell Recovery Center is one of the oldest and most experienced treatment facilities dedicated to patients who are struggling with substance abuse and mental health problems. 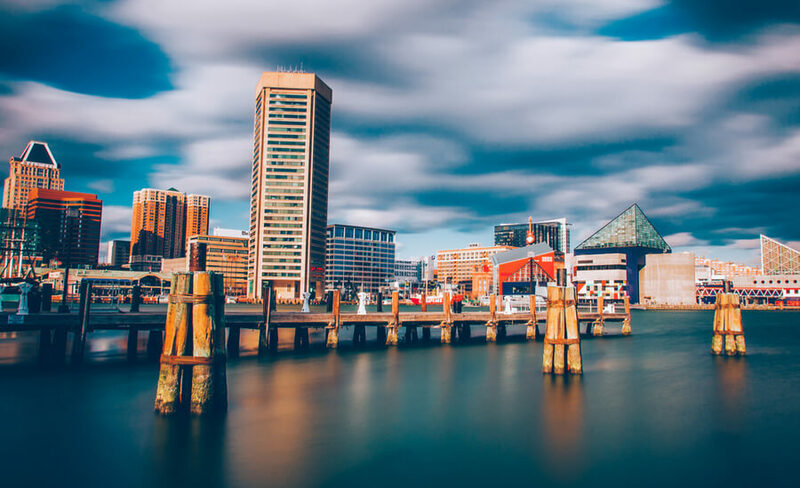 The treatment center has been around for more than three decades, and during this time it has been a center for alcohol and drug treatment in the entire Baltimore area. What makes this recovery center stand out is the “Treatment on Demand” service meaning all patients get to start their treatment within 24 to 72 hours after submitting the admission by contacting Powell staff. Addiction is a serious problem and persons who want to get help should not be made to wait for weeks or even months to start their treatment at the desired facility. The same shouldn’t happen to families who just want their loved ones to get much-needed help. At Powell Recovery Center patients get admitted fast, and they start their inpatient or outpatient treatment. As one of the most trusted facilities, Powell Recovery Center has become one of the best places where patients with substance abuse problems can seek help. Each success story only motivated Powell Recovery Center staff to work harder and constantly evolve. As a result, residential treatment is provided in seven gender-specific houses throughout the Baltimore area. Gender-specific means that only male or only female patients are treated in some house. An average number of patients or clients residing in one house is 10 to 15. Each house has about three or four bedrooms that patients share. At least two bathrooms are available to residents. Of course, these houses have communal areas such as living room, dining room, and kitchen. It’s important to mention that patients are expected to buy their own food and prepare their meals. Residences are near public transportation and stores. The fact patients need to buy and prepare meals on their own can help in the recovery process as they have a responsibility which serves as motivation during the treatment program. As mentioned above, Powell Recovery Center offers immediate treatment and shelter to patients n need. They’re well aware of the fact that a single day can make a huge difference between living and dying. During a crisis, people reach for help wherever they can find it which is why it’s crucial to make sure they get much-needed help and assistance rather than make them wait. Due to the fact, Powell Recovery Center has multiple facilities they can take on new patients on an as-needed basis. Sober living requires six-month commitment and patients need to be able to walk up and down the stairs physically. New residents go through a 60-day blackout during which they are escorted to AA/NA meetings, undergo random drug testing, but they are not allowed to leave the residence on their own. Like in many other facilities, treatment programs at Powell provide various therapies that aim to improve patients’ mental health and wellbeing. Patients at Powell Recovery Center participate in individual and group therapy sessions where they work with therapists on self-discovery and path toward a healthier way of life and substance-free lifestyle. For example, intensive outpatient treatment involves three hours of group therapy three evenings a week while individual therapy is held as needed. Patients who are included in the partial hospitalization program have more intensive therapy schedule they attend meetings five days a week from 8 am to 5 pm. All therapy sessions are gender-specific, i.e. they’re all male or all female. A maximum of 20 patients attends therapy sessions at Powell Recovery Center. It’s important to mention that all therapy approaches used by Powell Recovery Center’s staff are evidence-based. Therapists use cognitive behavioral therapy (CBT) when treating patients. Benefits of this therapy have been supported by many studies. Outpatient treatments include therapies held once a week. The purpose of therapies in the outpatient setting is to make sure patients continue their recovery even when residential treatment is over, but also to promote addiction treatment among patients whose substance abuse isn’t that severe. The official website of Powell Recovery Center isn’t overly informative, and there’s no payment information. Bearing in mind the recovery center provides immediate treatment to patients in need, and we can easily assume Powell’s payment options are flexible and also available for persons who don’t have much money. It’s not clear whether treatment at this facility is covered by insurance. In order to find out more about costs of treatment at Powell Recovery Center feel free to contact them. Accreditations and certificates obtained by Powell Recovery Center aren’t revealed on the website, but it doesn’t mean there aren’t any. The treatment center has been treating patients for more than 30 years, so it’s obvious they maintain a good quality of care and their program is well-structured. So it’s not that difficult to conclude they’ve probably received some accreditations. At this point, it’s not quite clear what amenities are included with treatment programs at Powell Recovery Center. Probably the best advantage of this facility is the fact they provide immediate care and teach patients to be responsible so they can easily adapt to life after treatment is over. The official website of Powell Recovery Center doesn’t reveal team names and bios. That being said, the treatment center gathered a great team of therapists, psychiatrists, counselors, and doctors who care for patients on a daily basis.